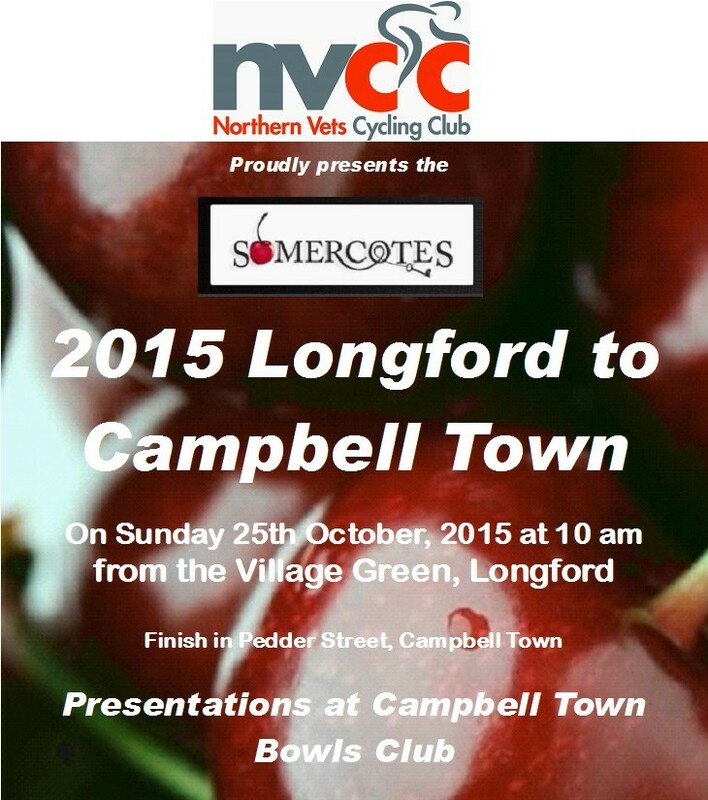 With a rather strong tail wind, a good field of 68 riders headed in the 18th Annual Longford to Campbell Town. On the long climb approaching Valleyfield Road, Robert Wrigley rode away from the leaders, and by the top of the climb had established a break of around 300 metres, which looked like a possible winning break. But it was the determination of Paul Headlam and Phil Stevenson that saw them catch Wrigley on the last climb around 3km from the finish, here they attacked him and were able to ride away to contest a 2 up sprint for the title with Phil Stevenson becoming the first dual winner at 71 years old (he also won in 2013). Mike Walsh got a break on the long downhill finish to take out fastest time. In the Inaugural “Campbell Town Dash” over 41km we also had a 2 up sprint with Tony Savage winning from Jen Booth and Ken Parker.